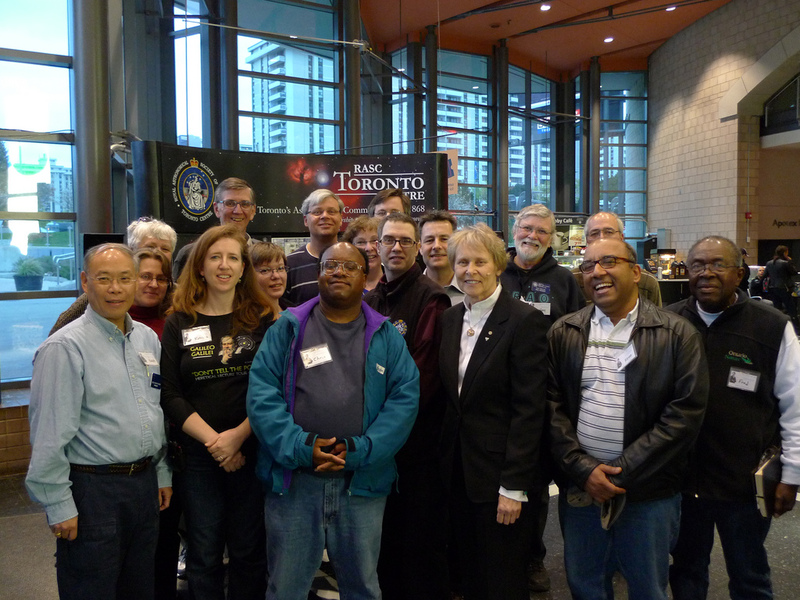 Welcome to the Toronto Centre of the Royal Astronomical Society of Canada. We’re Canada’s largest astronomy club with more than 900 members in the GTA who share a love of astronomy and the wonders of the night sky. Our membership includes both professional and amateur astronomers. You don’t have to be an expert to enjoy astronomy. We offer our members a wide range of activities, events and facilities. We also present over 100 public events to educate and entertain would-be stargazers each year. Come explore the sky with us! The Toronto Astronomy Club was founded in 1868. It was re-formed as the Toronto Astronomical and Physical Society in 1890, and received permission to become the Royal Astronomical Society of Canada in 1903. The RASC has grown to become a national organization with 29 centres across Canada. The RASC Toronto Centre is a registered charity. The RASC Toronto Centre is committed to providing an atmosphere that encourages the free expression and exchange of ideas in a harassment-free, friendly and respectful environment. Click here if you need to contact us for any reason.